GammaRED Engineering is an Italian company established in 2007 joining together a group of professionals with long term experience in broadcast environment. Our mission is to provide integrators with a professional software platform on which they can build digital video solutions focusing resources on customers’ requirements and user interface. 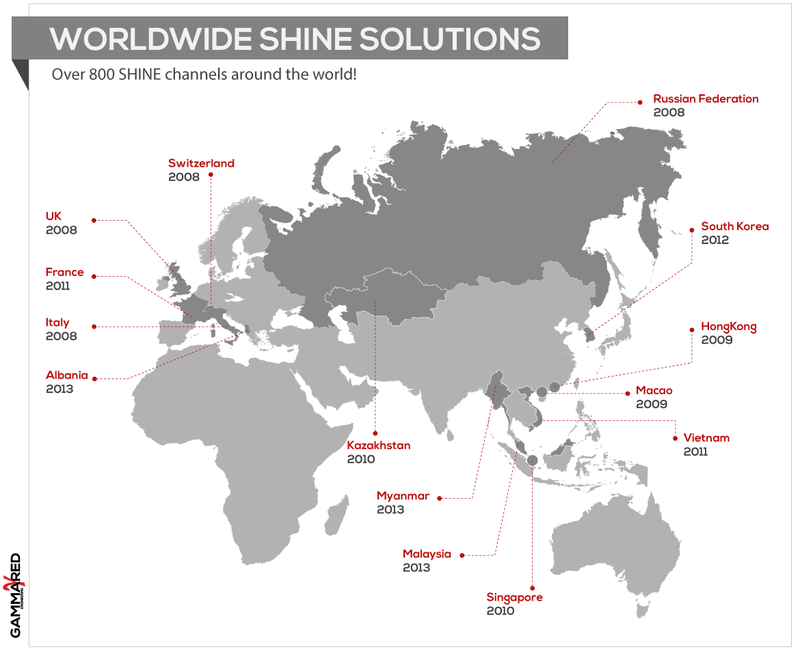 The result of our best effort is SHINE Media Platform: a leading-edge software toolbox which enables the design of advanced and customer-specific solutions in a simple and fast manner. Avoiding the need of wasting time on server-side issues, our Platform is the key to improve Time to Market raising responsiveness to the changing requirements of broadcast market. From its conception GammaRED Engineering believes in the power and value of innovation, and therefore invests in research and development in order to keep the Platform always abreast of technical progress, providing the ability to build as many kinds of solution as modern broadcasters need. Our skills and expertise are at your disposal from design to after deployment phase of the project and, if your customers require an unavailable feature, ask us for a custom solution!